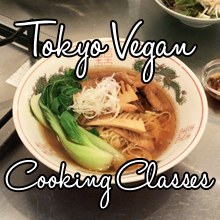 When I was planning my trip back to Tokyo, I specifically wanted to take a Shojin Ryouri (Japanese traditional vegan Buddhist cuisine) cooking class, and found the Teran class online. Teran is located in Jokokuji Temple in Akasaka, Tokyo. It is a small temple, but it has been around for 350 years. 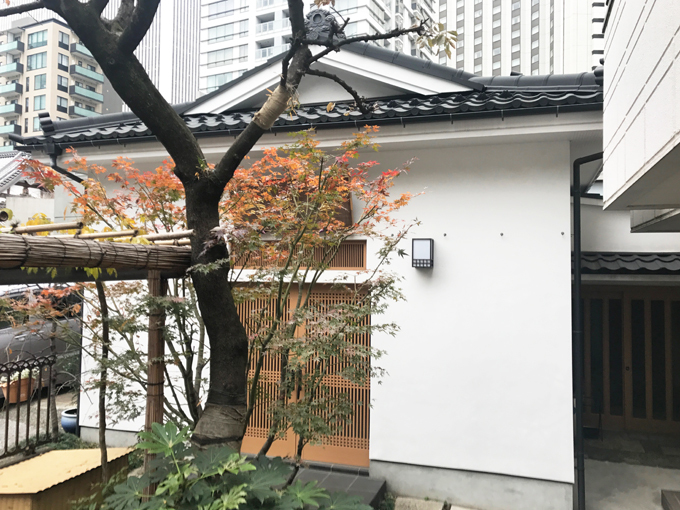 Teran, the Shojin Ryouri cooking class is held in a house within the property of the Jokokuji Temple. Masami Asao is the wife of the head priest of Jokokuji Temple. She is a certified nutritionist and teaches Shojin Ryouri out of Teran. She has classes during weekdays and weekends and also offers private classes, which is one of the reasons why I chose Teran. I decided to take one private class and one of her regular classes. She is a very sweet lady with a wealth of knowledge. I was very happy to have found her through just a Google search. I took her class in Japanese but she also teaches foreigners and comes to New York once every year to teach, so if you are in New York, you are lucky and I would definitely recommend taking one of her classes. I will keep you posted on the class dates, but I believe she is teaching in April 2018 in New York. She also has a youtube channel she recently started, where she posts recipe videos, so check out her youtube channel too! We started with the history of Shojin Ryouri to how to plate in the proper Shojin Ryouri manner. 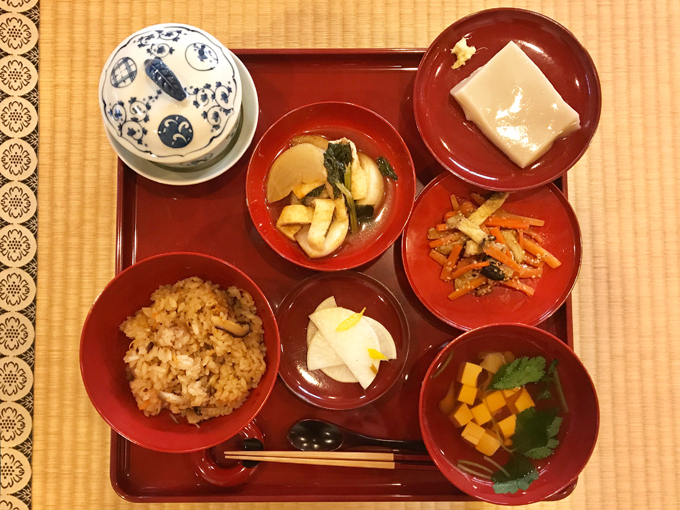 Shojin Ryouri came to Japan from China as Buddhist Temple cuisine during the 6th century. 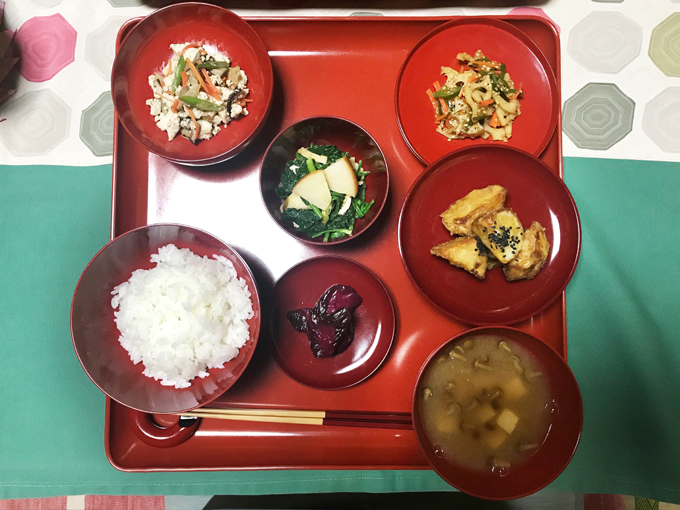 Even though on Teran’s website, Shojin Ryouri is described as vegetarian because of the use of some diary, there was no use of diary or eggs in any of the recipes we made. I was happy I took a private class with her first, because I was able to ask a lot of questions regarding Shojin Ryouri without worrying about stalling the class for the other classmates. Everything is plated in Japanese red lacquerware and each type of plate has its own specific placement. 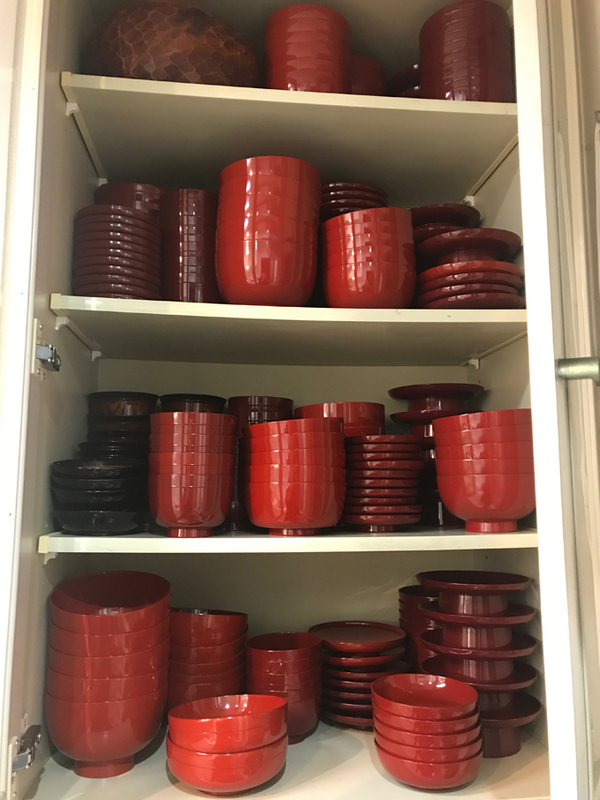 Look at Ms. Masami’s beautiful red lacquerware collection! After the lecture, we moved to her kitchen for the hands on cooking class. If you learn how to cook Japanese food in general, you always start with the introduction to how to make dashi (stock), so it was no surprise we started with dashi 101. Traditionally, dashi is either simmering or soaking the following ingredients in water; a combination or single use of bonito flakes, dried small sardines, dried kelp, dried shiitake, etc. In Shojin Ryouri, dried kelp and dried shiitake are used to keep it plant-based. Dried kelp and/or dried shiitake is soaked in water overnight to create dashi. Then the reconstituted kelp and shiitake is removed. Dashi can be used right away for cooking or be stored in a container and kept in the fridge until the time of use, and use it as needed. 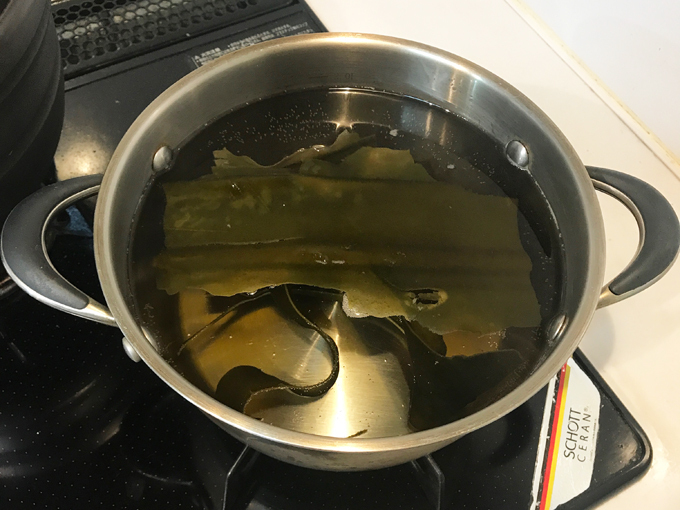 If you don’t have time to soak overnight, you can heat up the dried kelp or dried shiitake in water over low to medium heat and bring it to a gentle simmer. Never boil or use high heat during this process, as you will not get the best flavor out of the kelp and shiitake. After the dashi demo, we made about 4 different sides, rice and soup each day. 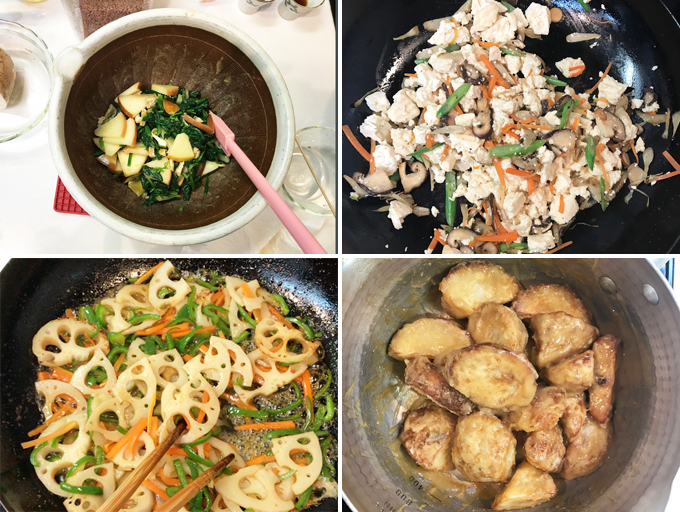 Day 1 was apple and spinach tossed in tahini sauce, tofu stir fry with 5 kinds of veggies, lotus root kinpira (savory and sweet stir fry with a kick of chili), deep fried Japanese taro tossed in sweet miso sauce, accompanied with white rice and miso soup, and a small serving of pickles. Everything was delicious! I loved that each side had very different flavors from sweet to savory, and that the whole meal was very well thought out. 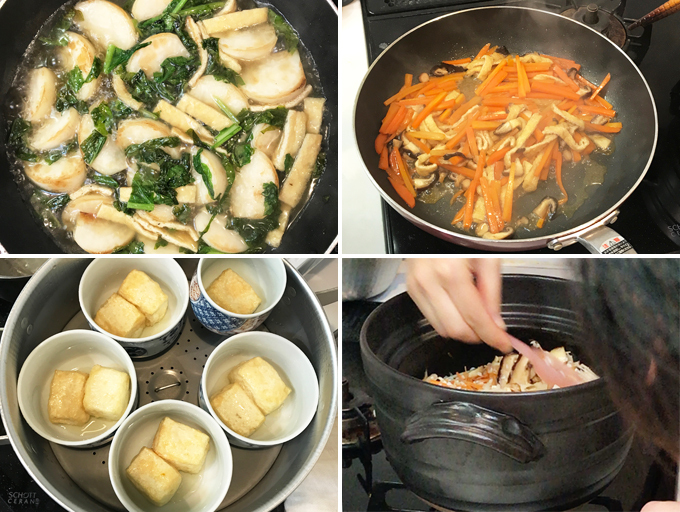 On day 2, we got to make one of Shojin Ryouri’s most iconic recipe, sesame tofu. Now, the name is miss-leading because it is named tofu, but it is not a tofu, as in there is no soy usage. 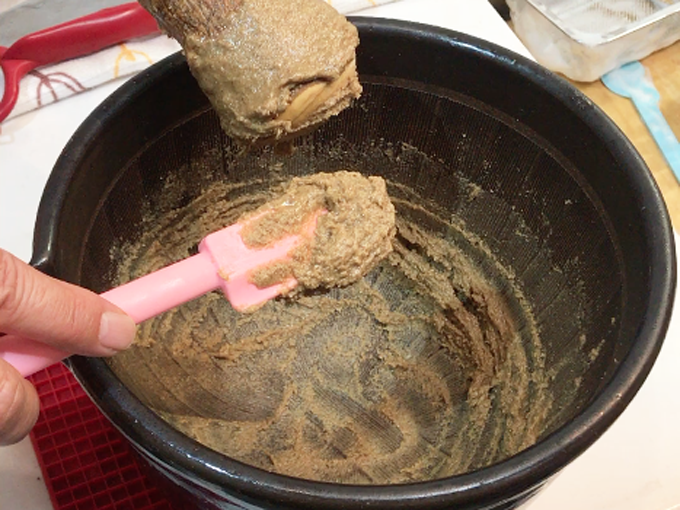 It is made with toasted sesame seeds, kuzu (arrowroot), and water. It was named tofu because of its appearance, but it has a mochi like texture, not tofu. This recipe has been made the same way for 800 years! Yes, you heard it right. You get to try the exact same recipe, made by the exact same method from 800 years ago. You don’t get to do that too often. Now the kicker is, this recipe requires a lot of elbow grease, and I mean a LOT! That is because you need to grind the toasted sesame seeds by hand until it thoroughly releases its oil, which takes about an average of 40-50 minutes. Yes, this is no joke. See, Buddhist cuisine was meant to be labor intensive as the work was a form of meditation and was in service to the Buddha. So yes it is a lot of work, but it was also a way to show how much respect went into the making of the food you serve God. By the way, this step also isn’t about powering through if you are a man and have more arm strength than women. The reason is, the heat you generate by powering through will affect the delicate flavor of the toasted sesame seeds. Now if you are in a hurry, you can use tahini instead, and most Shojin Ryouri restaurants will use tahini instead because of how much labor it saves. Ms. Masami has a recipe video up for this on her Teran youtube channel, so check it out and you can make it at home yourself. We also made braised kabu (Japanese turnip), carrot kinpira (savory and sweet stir fry with a kick of chili), 5 veggie sauce over deep fried and steamed tofu, mixed vegetable rice, and soup, with a side of pickles. 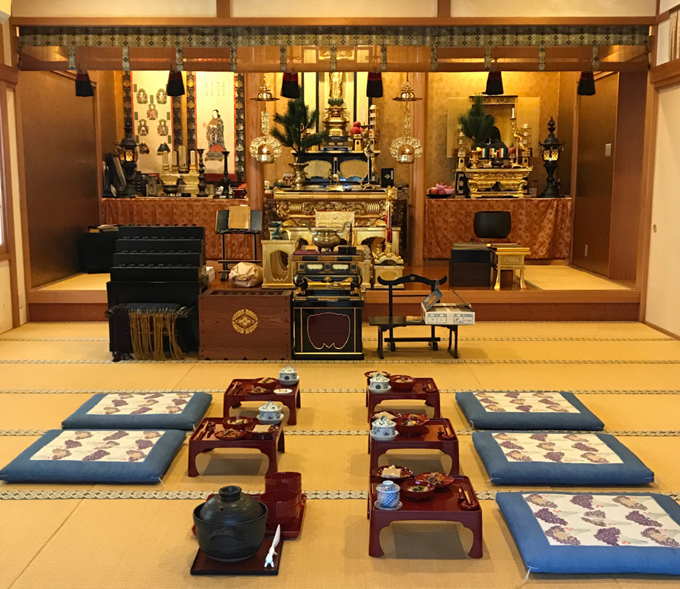 We had the privilege to eat inside the Jyokokuji Temple this day, so once everything was ready, we went inside the temple to set up everyone’s table. How amazing! You don’t get to eat inside a temple everyday, so this was quite a memorable experience. It was a very serine experience to eat inside a temple. Just like day 1, everything was delicious and very well thought out and balanced. The sesame “tofu” I described earlier had a mochi like texture. It has a very delicate sesame seed flavor, so you eat it with soy sauce and grated ginger or wasabi. It was exciting to make an 800 year old recipe and get to eat it inside a temple, just as the people of the era would have. Two days of Shojin Ryouri class flew by but I enjoyed every minute of it! I am definitely coming back for more and I cannot wait to learn more Shojin Ryouri recipes. Stay tuned for Ms. Masami’s April 2018 New York class dates.